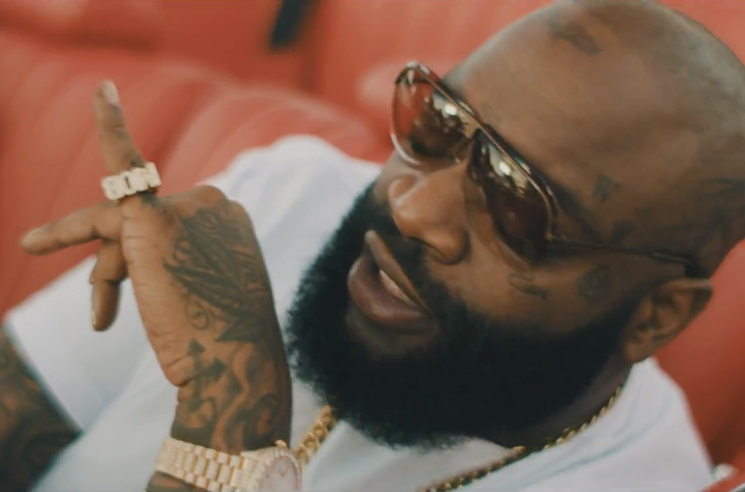 Rick Ross delivered his new LP Rather You Than Me today (March 17), and to mark the occasion, Rozay has released a video for the Young Thug- and Wale-assisted "Trap Trap Trap." Directed by Ryan Snyder, the clip finds Ross rolling through the streets in his cherry red chariot, cruising by police even though an ankle monitor he's wearing won't quit beeping. Elsewhere, Thugger and Wale appear to deliver their own verses. Rather You Than Me is out today through Epic/Maybach Music Group, and can be streamed here. Watch the video for "Trap Trap Trap" in the player below, and read our interview with Ross here.